We are now in the midst of the holiday season. For dinner and party planning, we often think about what roast we want to serve or how big of a turkey we need. Once the holiday season ends we still may think about serving a roast at Sunday dinner, but turkey seems to be forgotten. That doesn’t have to be! I think many people only think of turkey during the holidays because of all the work that surrounds a turkey dinner. First of all, you have to deal with this enormous roasting pan (and don’t get me started on cleaning it). Second, there are all of these side dishes to be made. Third, the leftovers, of which there are many, are fine on day one but annoying a couple days later. Let me help you here. Serving turkey doesn’t mean that you need to roast an entire bird. Nope! There are many other delicious (and even healthy) options. Just like chicken breasts, which probably are on your weekly shopping list, you can buy a turkey breast. It’s a lot less to cook and eat. The advantage of a turkey breast is that there probably will be enough leftovers for another dinner and lunch but not enough to make you never want to cook it again. You know how you really like to have pasta with sausage but feel like you need to watch calories? Replace your regular pork, Italian sausage with turkey sausage. You can find it in most grocery stores in hot and mild. It’s lower in calories and fat and is pretty darn tasty. There’s nothing quite like a burger and some fries until you’ve had them several weeks in a row. That’s when this option comes in handy. No more boring burger- mix it up by switching the meat in your burger. Meal delivery services also can offer great burger taste. 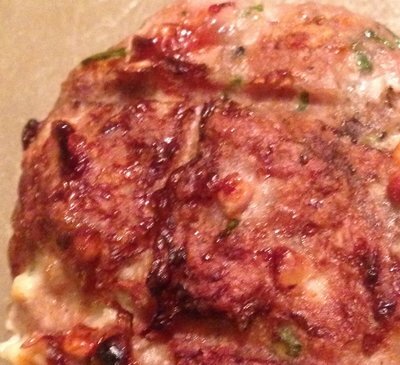 Take for example these Turkey burgers by Dinnerly- read the full review. As you celebrate the holidays this winter, enjoy the turkey or roast that is served wherever you celebrate. When the holidays end, don’t forget. Turkey is a year round dish! Brought to you by our friends at themealkltreview.com.